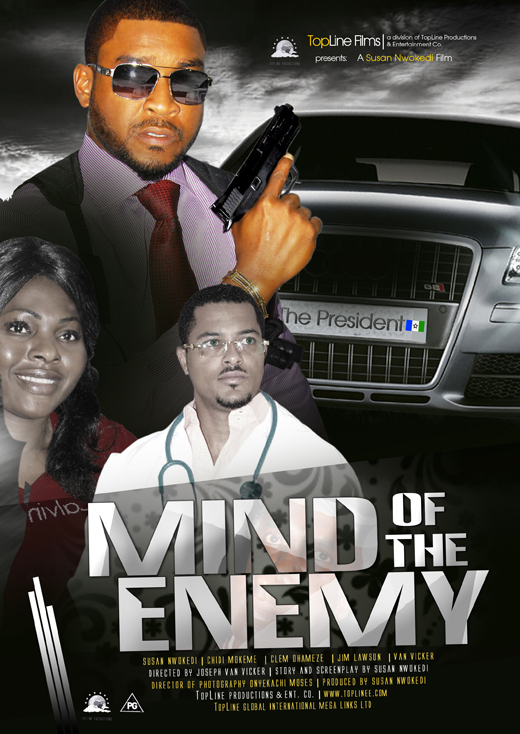 Mind Of The Enemy - Haba Naija! This film depicts the corrupted side of African political system. Every man is on the political quest for absolute power. It details political rivalry and how political parties would go out of their way to ensure they succeed. The movie stars Chris Obi played by Chidi Moneke, who is a very patriotic and trusted aide to the sitting President played by Jim Lawson who just lost an election recently but isn’t ready to leave the office of power. Assassination plots are made to ensure that the newly elected President Kennena played Clem Ohameze doesn’t have a grasp of power before the appointed date. Chris Obi who is a patriot of the country is drawn between doing what is right and following the will of his own boss who is obviously corrupt. What would he decide? Following the path of sitting president would mean no hope for a better future for his country men. Chidi Mokeme did an excellent job in playing the role of a true patriot of his country ,as he his drawn between corruption and doing what is right. His role was very vital to the movie. He was the bridge between good and bad in the present political dilemma facing Nigeria today. Clem Ohameze played a victim of corrupt practices of selfish and arrogant political figures who are hell bent on washing out any speck of good governance in African politics. The entire movie is brilliant and a must watch even recommended for the international audience. A brilliant review for a brilliant movie…right on point. It’s really cute…but can ours leaders actually learn from dis? We have a lot of good will messages to convey to our nation but, it’s all on deaf ears. Rome was not built in one day. We will keep trying until we hit the right ears…As you already know, nothing good comes easy…but one thing for sure, things are not getting better for our people and our country. So, we can’t give up. No, never.